After our long day Saturday, and the fact that we lost an hour of sleep because of daylight savings time, I was pretty well tuckered out yesterday. I hate to let a day go by without sewing or quilting something, so I decided to sew a bit more on the scrappy blue quilt I’m working on. 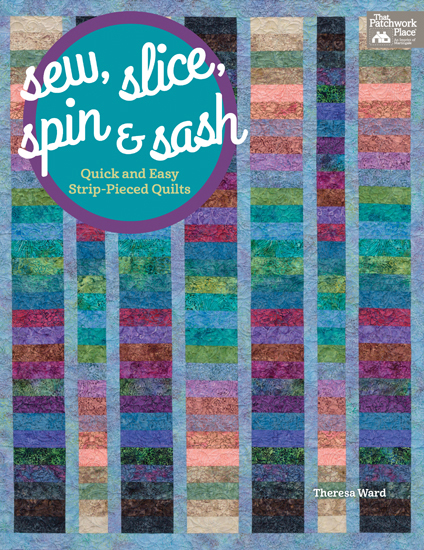 I’m cutting strips of blue fabric from my scraps and making them into blocks. 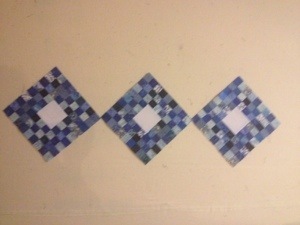 Here’s what I finished last night and have on my design wall today. 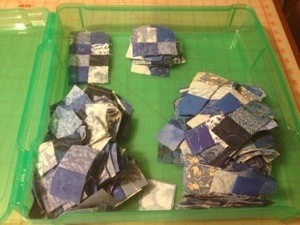 I have lots of pieces cut into sections. 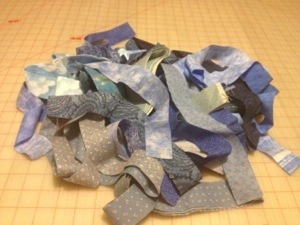 And several more strips cut. This will be another one of those projects that will take me awhile to complete. I guess a little bit here and a little bit there will eventually get me to the completed quilt top! LOL!